15 bulbs will produce 15 stems with 5 to 8 blooms on each stem. 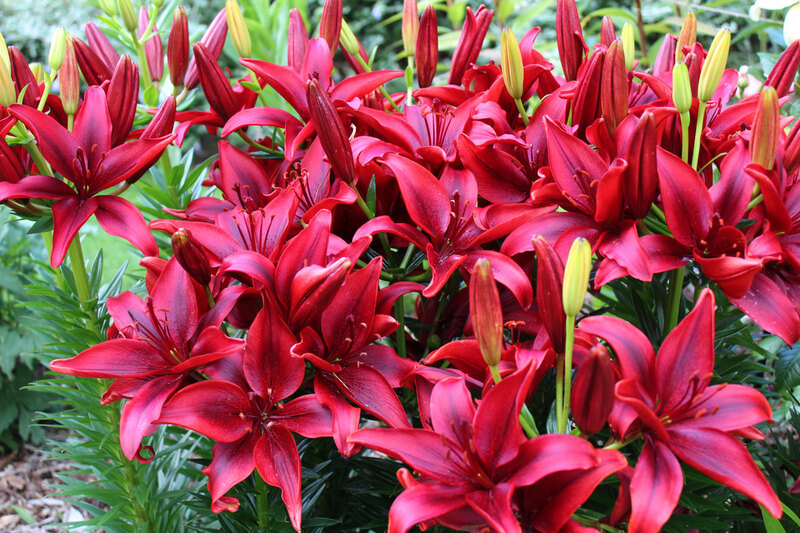 Black Out is an Asiatic lily that blooms mid May to early July. It is a deep dark red with a black center. 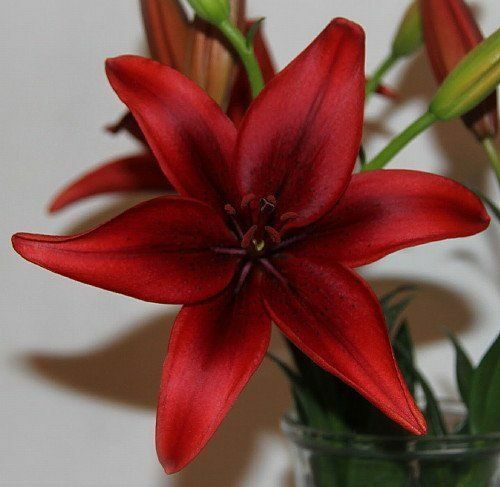 Black Out will bloom at the same time as Royal Sunset and before the Oriental lilies bloom.